Daro Film Distributions tried to avoid paying members’ residual fees for the use of their work. For a decade Equity has pursued the case across the globe to ensure fair play. Now a ruling in a Swiss court has brought victory for the union and cash for our members. It may have taken a decade and led Equity officers across at least two continents, but in winning a case against Daro Film Distribution, Equity has sent an important message to rights holders and producers that they cannot escape their responsibility to pay performers for the use of their work. In 1998 Channel Five broadcast The Manions of America, a film originally made under the 1979 Television Production Agreement by Argonaut Films Ltd. The film was licensed to Channel Five by Daro Film Distribution GmbH. However Daro was not paying the performers residuals for their work. Equity officials then began the process of pursuing a claim against Daro, a German company. The lengthy investigation required to secure our members’ payments led our investigators to Monaco and Los Angeles and finally Switzerland. Daro refused to pay the residuals owed to cast members. Equity took them to court and won a legal judgment against the company. Daro, however, refused to accept the jurisdiction of UK courts in the case and continued to ignore our claims for payment. Undeterred, Equity’s legal team then approached Swiss Equity to assist them in enforcing the UK ruling in Switzerland. The lawyers for both the UK and Swiss unions then worked together to bring another claim against the company in their own territory. With Swiss Equity’s full assistance in this matter, the Swiss courts also found in favour of the represented UK Equity members and upheld the claim. Daro had no choice but to accept the judgment and payment was finally made this year with six Equity members sharing the payout. 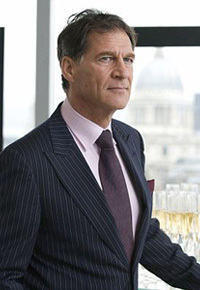 One of the actors, Simon MacCorkindale, recalled that when Equity first approached him about the case, he was totally unaware that his work was being used improperly or where it was being used. This entry was posted in Journalism, News and tagged arts, equity, law. Bookmark the permalink.